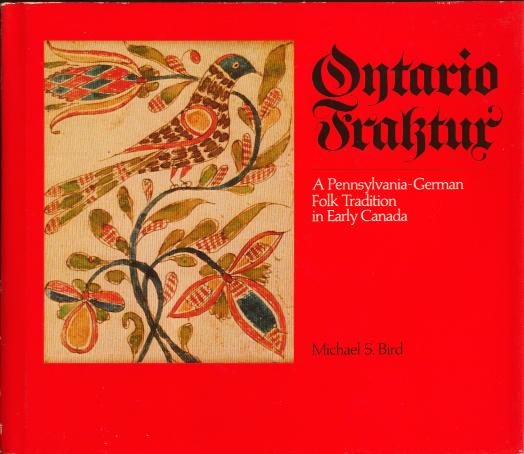 Ontario Fraktur - A Pennsylvania - German Folk Tradition in Early Canada, by Michael S. Bird. * 1/2" x 9 3/4". ISBN 0-919880-08-8. Copyright 1977, 144 pages. 35 pages of intro and essay, then all illustrated examples with descriptions, comments, etc.. About 30 plates in colour. Excellent condition.